Zealotry deliver one of the most forward-thinking death metal albums of 2018 with their latest effort At the Nexus of All Stillborn Worlds. 2018 has been a great year for death metal in general. On the one hand, we have had some classic old-school records in Obliteration’s Cenotaph Obscure, Sadistik Forest’s Morbid Majesties among many others, while on the other hand, we also saw some top-notch modern death metal masterpieces in Alkaloid’s Liquid Anatomy, Rivers of Nihil’s Where Owls Know My Name, et cetera. But clearly the year is not yet done and dusted (for death metal), as Zealotry deliver a powerful closing spectacle with At the Nexus of All Stillborn Worlds. In an attempt to bridge the gap between the old-school traditional death metal and modern progressive death metal, the Boston-based act has managed to carve a very unique sound for themselves, crafting an amalgamation that respects all the varied influences but follows its own unique path. The end result, At the Nexus of All Stillborn Worlds, has something to offer for every death metal fan. From neck-breaking riffs to drooly complex licks and even a fine share of atmospheric moments, Zealotry manage to bring just about everything to the table. Wasting no time on theatrics, title track “At the Nexus of All Stillborn Worlds” starts off in top gear. Right off the bat, one is faced with the barraging dual guitar attack of Phil Tougas (of Chthe’ilist fame) and new member Jake Himelfarb (of Calcemia). Almost reminiscent of the Demilich classic Nespithe, the track manages to twist some of the most complex layers of riffing into something much more cohesive and structured. One of the record’s highlights are definitely the heavy bass lines, thrown down by guest member Aodán Collins, and they do stand apart from the first track on. Surprisingly, the song even ebbs into atmospheric territory, as captivating, hymnic chants bring it to a close. It is the use of these surprise elements that makes At the Nexus of All Stillborn Worlds such an enjoyable record. Be it the chorus chants on the title track or the smart use of François Bilodeau’s guest piano solo in “Accursed”, one is never quite sure of what to expect next. The album hits blazing speeds with “Lethe’s Shroud” and “Primus Venatoris”; these tracks manage to showcase the pure technical wizardry the members of Zealotry possess. There is just such a wide range of experimentation in terms of odd time signatures, jazz influences, and pure progressive metal tunes (think Atheist at their very best) represented here that the mere thought of the band managing to tie it all together in such a beautiful manner can overwhelm the attentive listener. The latter half of the album manages to build on much more elaborate and somewhat melodic structures, more in the veins of acts such as Demigod and The Chasm. “Universal Deceit” thrives off the melodic interplay of the two guitarists. Complimented by Roman Temin’s smooth vocal delivery, it manages to stick around in the listener’s mind long beyond its original four-and-half minute runtime. In traditional Zealotry style, the band leave the best (and longest) piece for the end, as “Irredeemable” offers a taste of everything that came before it, and some more. It takes one through a plethora of soundscapes, from choirs over technical guitar solos and blast-beat drumming to a sludge/doom-metal inspired crawl. As always, there is a clear sense of direction to it, a cohesiveness that helps make the journey much more enjoyable that one would expect. Moreover, the track sees Temin deliver a master-class in vocal performance, changing tone and intensity to match the required momentum of any particular instant. Lastly, praise must also go to the fantastic production work behind the record, provided by Xavier Berthiaume, who also handled the duty last time on The Last Witness. Every instrument is extremely clear and distinct, yet seamlessly integrated. Despite its extremely modern aesthetics, the album manages to retain some of the old-school charm in its overall sound signature. Looking back, too many comparisons have been drawn above to aptly describe the music behind At the Nexus of All Stillborn Worlds. While it does draw from a wide array of influences, as a whole, it does not sound like any of them. Credit that to the purely mature songwriting of Zealotry. 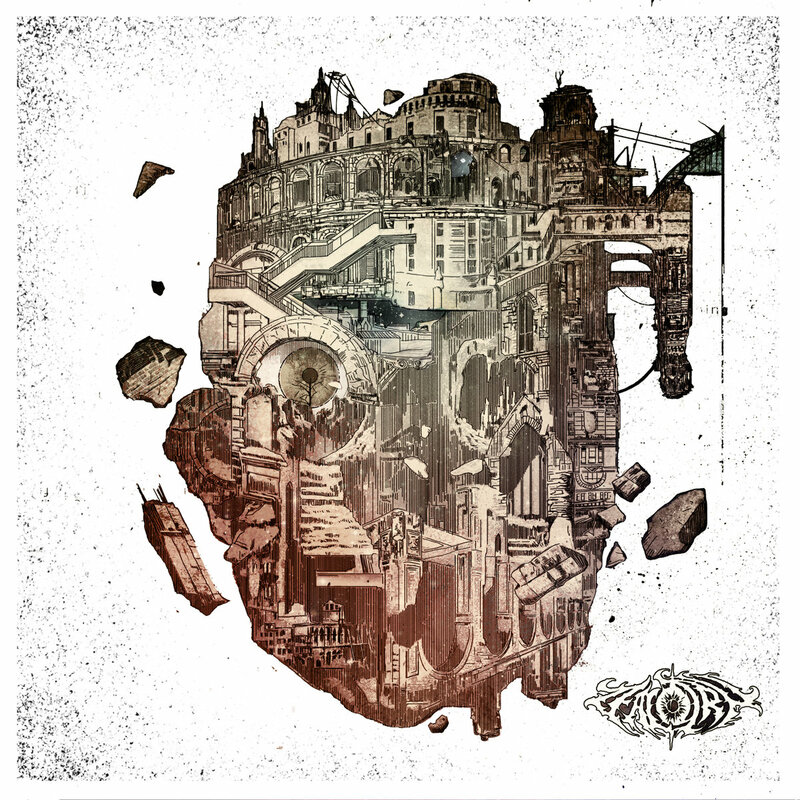 There obviously is a clear vision in terms of the band’s sound, and At the Nexus of All Stillborn Worlds manages to put it across in the best way possible. Not only is this the most cohesive and balanced album by Zealotry to date, it might just be one of the best death metal albums of the year. And in 2018, that is a big statement to make.